Refreshing, Cold Brewed Iced Coffee – Gevalia cold-brewed coffee is like iced coffee’s cooler sibling. It’s brewed cold and never heated. We use a cold brewing process that incorporates the finest 100% Arabica beans, which increases flavor and delivers rich, naturally concentrated coffee without bitterness. 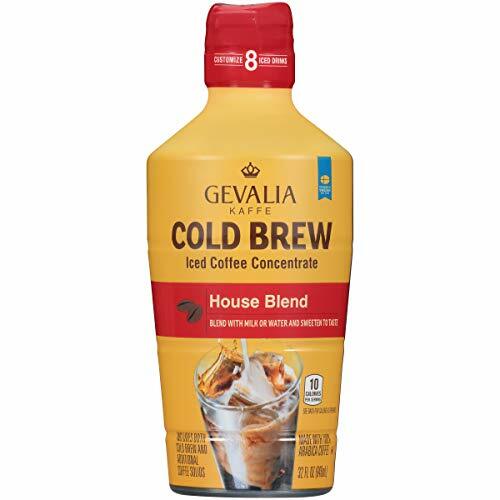 This Gevalia Cold Brew House Blend Iced Coffee Concentrate delivers natural coffee flavor in a smooth-tasting beverage you’ll love. – Thirst-Quenching Goodness – Quench your thirst with this refreshing cold brew coffee. Simply mix the cold brew concentrate over ice with equal parts milk, water or almond milk, sweeten to taste, sit back and sip. Ideal for hot summer days, enjoy the traditional taste of coffee with a cool twist.